It has been 20 years since the term ‘Deep Learning’ was coined by Rina Dechter in 1986, but why all of sudden every conference, articles, blogs, online courses, universities and corporate have started talking about it in the last 5 years. You can find thousands of blogs, youtube links and github repo to answer this. I have tried to answer the big question based on my experience with learning online and working on DL for the last 3 years. The simple answer is that DL is working really well (with awesome accuracy numbers) to solve some big problems like Image classification, Face Recognition, Recommendation system, Sentiment Analysis and a lot more. These problems are solved in 90s, aren’t they ?? Then why Deep Learning? Because accuracy matters a lot and really a lot. DL has transformed the industry by solving these already solved problems with great accuracy numbers. For example, detection of hand-written digits, you can notice the drop in the test error rate from 12% (LeCun et al. 1998) to 0.23% ( Ciresan et al. CVPR 2012). DL has also brought solutions to many unsolved problems. 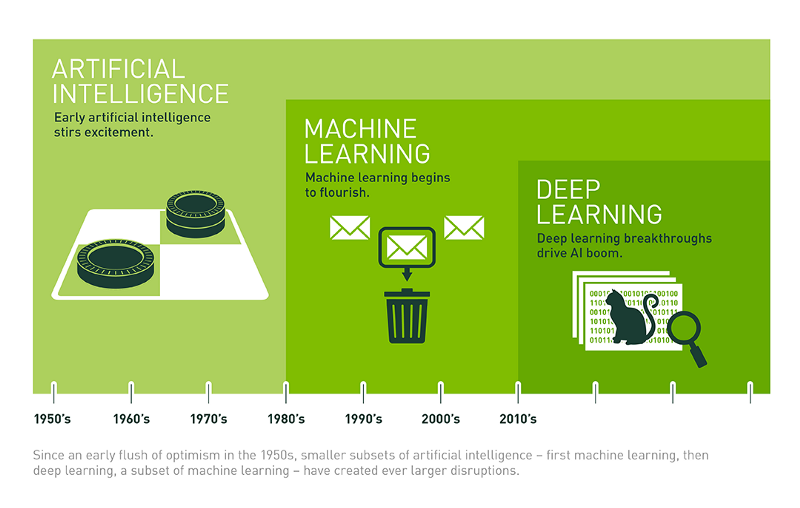 Where is Deep Learning being applied to solve real problems? 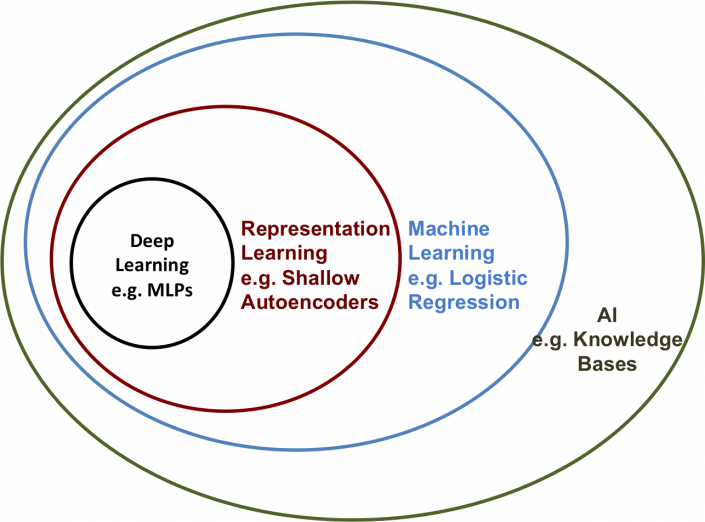 How is Deep Learning(DL) different from Machine Learning (ML)and Artificial Intelligence (AI)?? 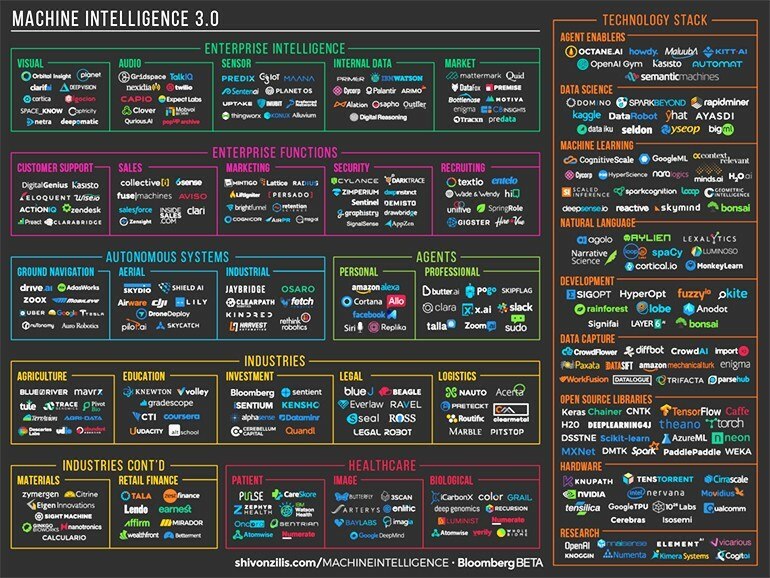 Another big follow-up question, there are few debatable points here among the researchers but mostly, AI (technique to enable machine to mimic humans) is the super-set of ML (program machines to learn and improve with experience) and ML is the super-set of DL( achieve great power and flexibility by learning to represent the data as nested hierarchy of concepts, i.e, more depth features with multiple processing layers, hence “deep”). Some researchers claim ML different from DL because DL has brought new concepts of using complex Neural Network based architecture. Some researchers draw the separator line using terms, “Classical/Traditional Machine Learning” and “Deep Learning”. So summarize this, a Venn diagram from Ian Goodfellow’s Deep Learning book below is showing the hierarchical view of Deep Learning. Why have many industries found it worth trying ?? It’s just because it’s easy to use. Seriously, with the recent developments and open-source contributions from so many communities and universities worldwide, it has become really simple and easy to start with building any generic application based on DL. The difficulty still lies for custom use-cases which requires a bit of python programming with Tensorflow. The understanding of architecture and training on own dataset requires more understanding of parameters, neural network layers and a lot of experiments with good hardware. Why and How to start Deep Learning ?? Start reading about it because it’s more trending than GOT(no offense, pun intended). And it’s easy to understand the outline and get the basic picture with a black-box. I will cover this in my next blog. Again, there are many blogs and articles to teach you this but first estimate your requirement and necessity, which will define the depth that you should know. DeepLearning.ai course by Andrew Ng. Thanks for reading the blog. This is my first blog, so please feel free to give feedback and suggestions. Thanks again!! !